Democratic congressional leaders on Sunday voiced dissatisfaction with Attorney General William Barr‘s summary of special counsel Robert Mueller‘s report on his Russia probe. “Attorney General Barr’s letter raises as many questions as it answers,” Rep. Nancy Pelosi (D-Calif.), the House Speaker, and Sen. Chuck Schumer (D-N.Y.), the Senate minority leader said in a statement just hours after the Justice Department’s leader sent the four-page letter to the congressional judiciary committees. Mueller’s investigation into President Donald Trump and his 2016 campaign’s ties to Russia found no conclusive evidence of coordination or collusion after nearly two years since the inquiry began. The special counsel has yet, however, to determine whether or not Trump ever committed obstruction of justice, a crime that could potentially lead to indictment and impeachment. Barr cleared the president of obstruction of justice, which — combined with the outcome of Mueller’s report — led the White House to quickly declare victory. 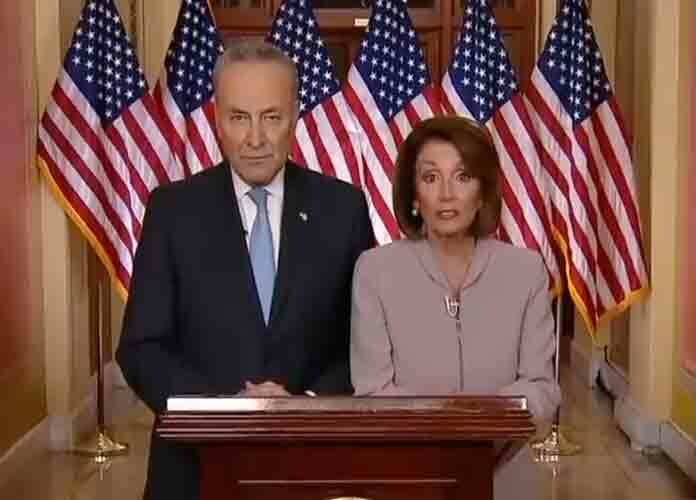 “The fact that Special Counsel Mueller’s report does not exonerate the president on a charge as serious as obstruction of justice demonstrates how urgent it is that the full report and underlying documentation be made public without any further delay,” Pelosi and Schumer added in their statement. If President @realDonaldTrump says it “wouldn’t bother me” to release the full Mueller report, then Attorney General Barr and the administration should release the full report and underlying documents without any further delay. “Most obviously, for the president to say he is completely exonerated directly contradicts the words of Mr. Mueller and is not to be taken with any degree of credibility,” Schumer and Pelosi added. Rep. Jerry Nadler (D-N.Y.), the House Judiciary chairman, announced his panel would call on Barr to testify about his findings. The showdown between Democrats, the Justice Department and the White House following the release of Mueller’s report will surely last several days. The special counsel began probing Trump’s tweets last summer for potential obstruction of justice.